This is just amazing – one cell becomes two, two becomes four – and so on until a complete organism is there in front of your eyes. In this case it is a newt tadpole that emerges but is the process that is fascinating. 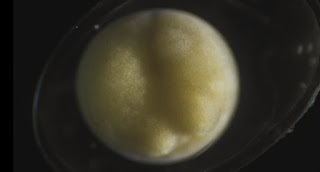 It may sound like a long time to wait to see a tadpole swim off but believe me, you will be entranced by this little creature’s process of becoming. A film by Jan van IJken, Becoming just became the one thing that made my day. Enjoy! 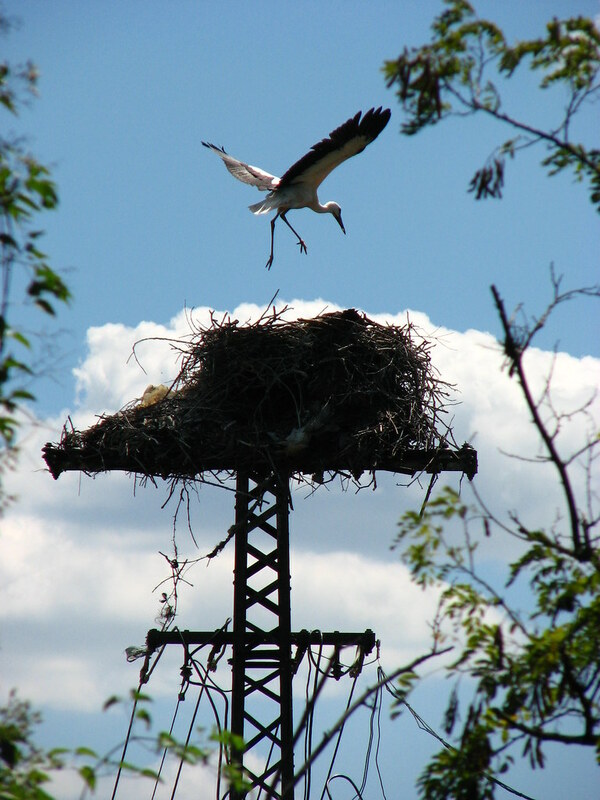 Storks make their nests high. To us they look remarkably precarious structures, not exactly a desirable residence – the ‘des res’ of your dreams. The stork, however, thrives at height most of us would avoid like the plague. Take a look at some amazing nests of the stork. 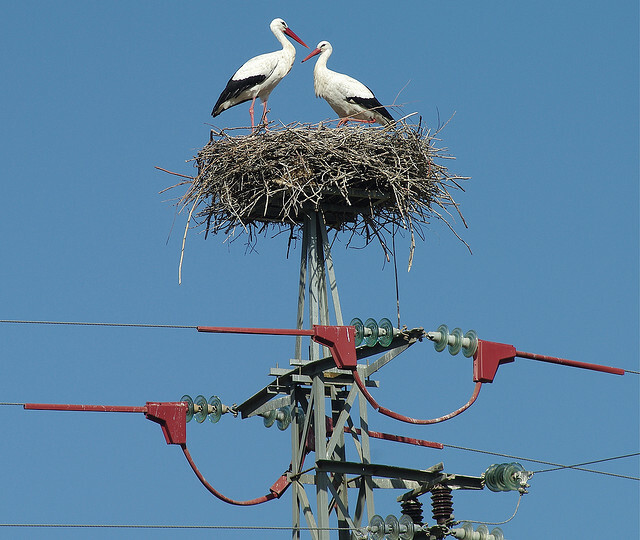 Although many Europeans encourage storks to nest on the roof of their home – it is supposed to increase the fecundity of the householders – many would gasp at the inherent danger that lies in building one’s home on top of a deadly current of electricity. In Denmark, however, the stork is not a welcome guest and so this would be considered appropriate alternative housing. The Danish believe that if a stork builds a nest on top of your house then someone who lives there will die before the year ends. These parent storks, however, will not be on the nest for great periods of time. This stork in Hungary is flying back to the nest to feed its offspring. The visit will need to be fairly quick though – stork chicks can eat anything up to sixty percent of their body weight each day. That is quite a few fish and frogs.